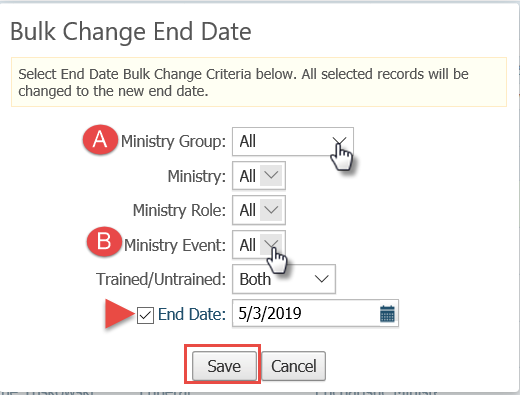 Select the Bulk Change End Date option. Choose the desired filter criteria to locate only the records whose end date you want to chagne. For example, your Ministry Group A (ex. Liturgy) and/or your Event B. Select an End Date and ensure the End Date box is checked.